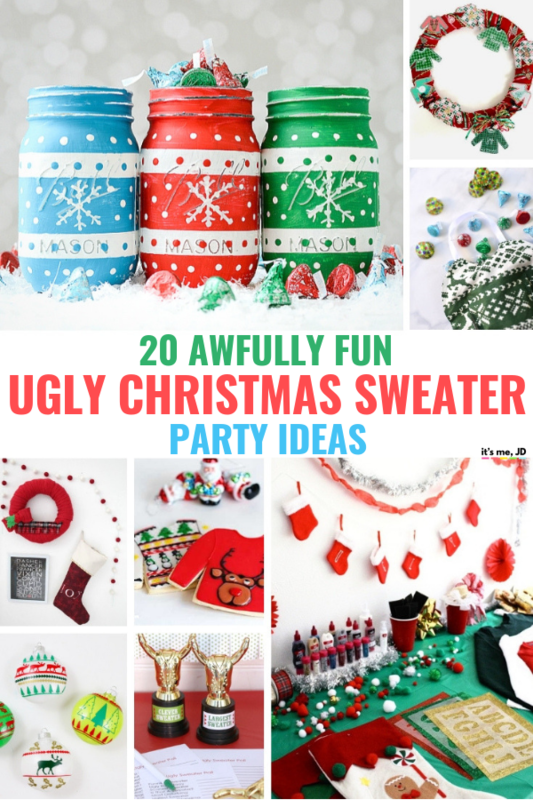 Get in the holiday spirit by throwing an Ugly Christmas Sweater Party. 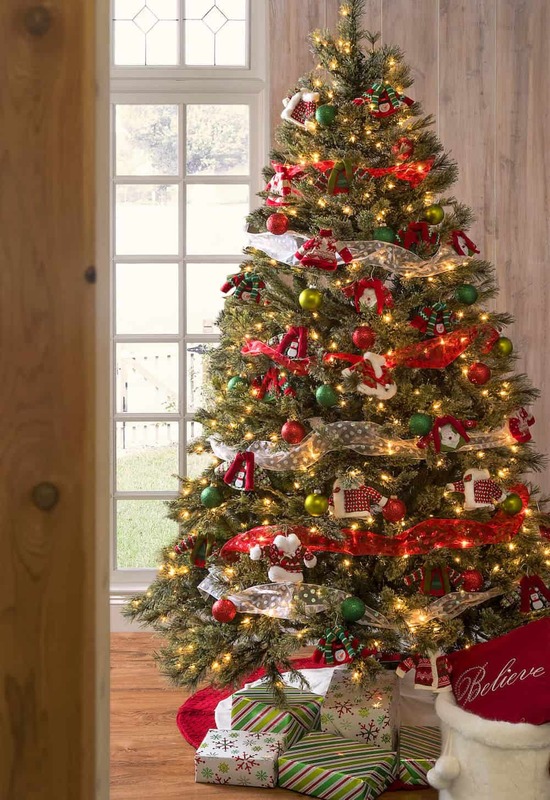 Gather the right food, decorations, tacky Christmas sweater to make your holiday soiree unforgettable! 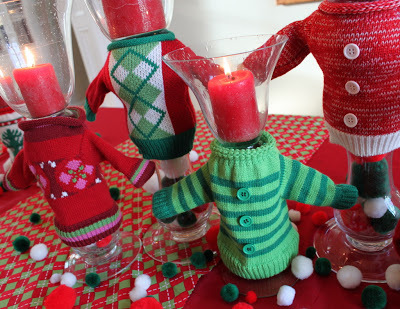 Whether you buy or DIY your holiday sweater, be sure to bring in the details for your party. 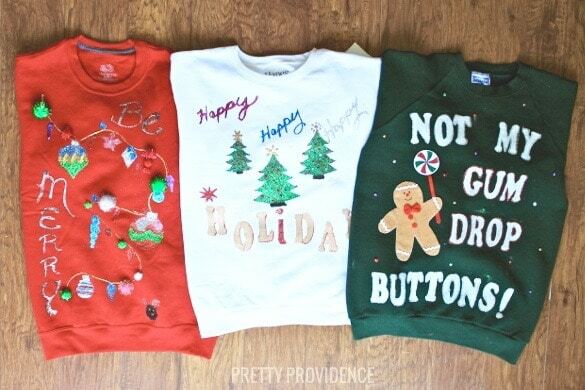 Cheesy is chic, tacky is trendy, gaudy is great for the Christmas Sweaters. The idea behind your party is to be fun and festive, so don’t hold back on party invitations, games, decor, or the food and drink. 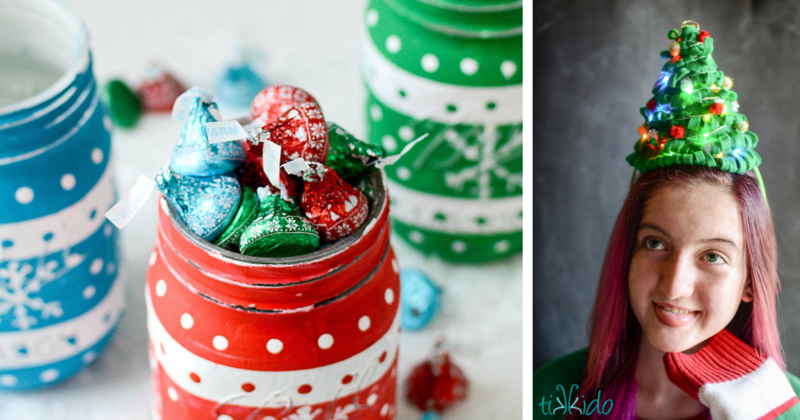 To help inspire you, I’ve rounded up some amazing ideas below. 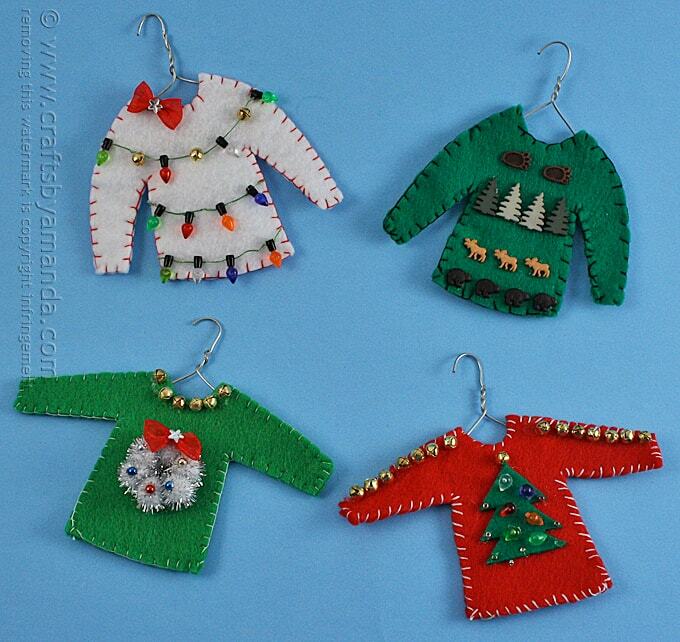 These ugly Christmas sweater ornaments could make great decorations or party favors. Use this printable wall art as decorations for your party. This DIY wreath would be a festive welcome for your party guests. 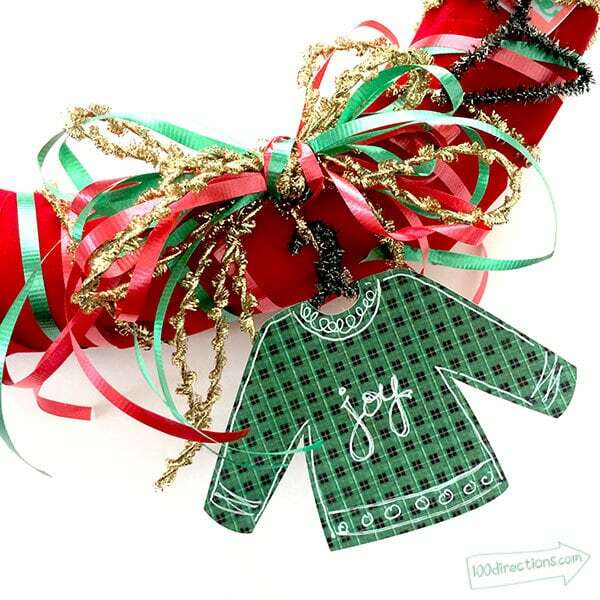 You can use these for garland or gift tags. 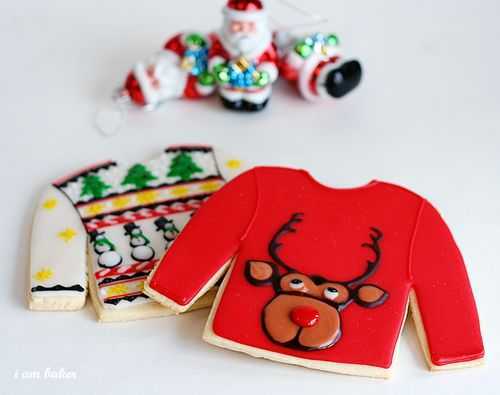 These Ugly Christmas Sweater cookies look too good to eat! The Christmas Tree might as well be decorated ugly sweater-style. These treats are super duper sweet and are in no way “ugly” at all. 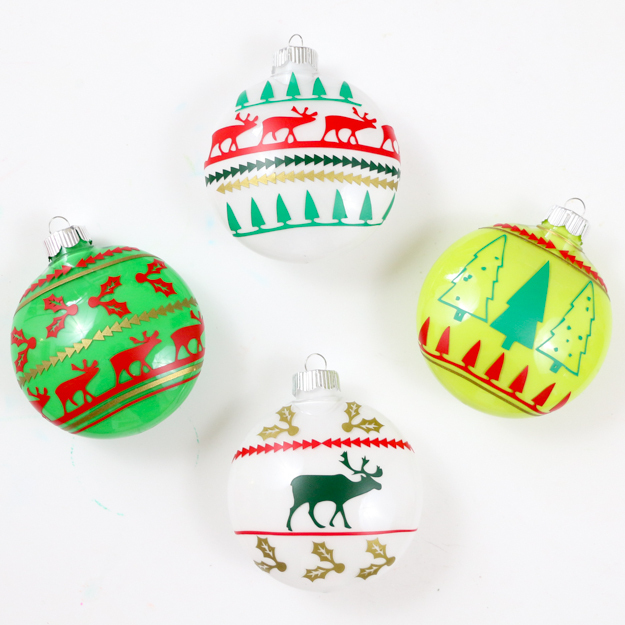 These ornaments can be made with affordable supplies or stuff you already have in your Christmas decor stash. 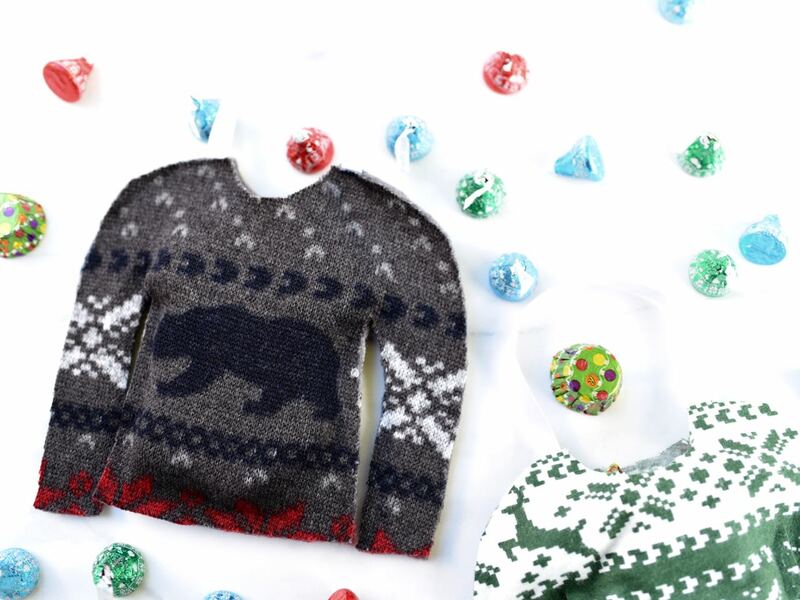 These Ugly Christmas Sweater treat bags are definitely keepers. 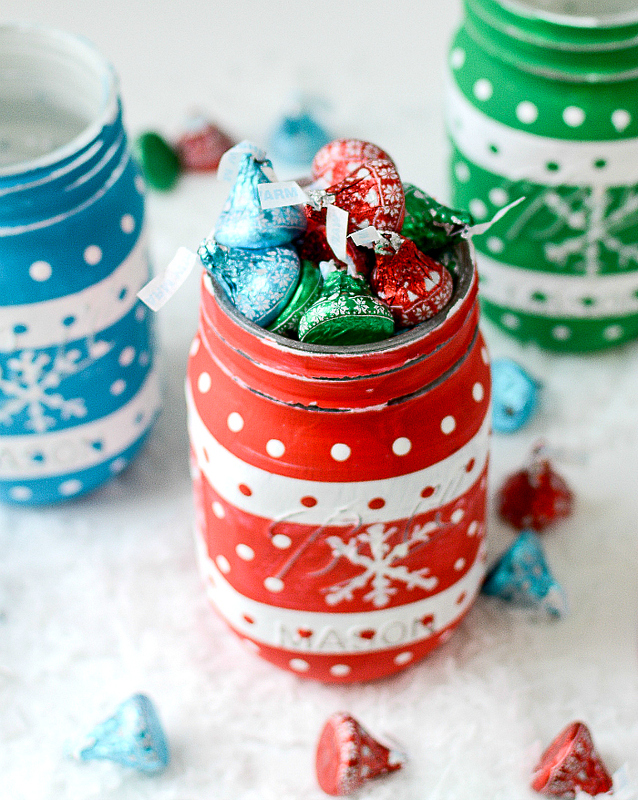 This DIY idea would make the perfect centerpiece for your get-together. 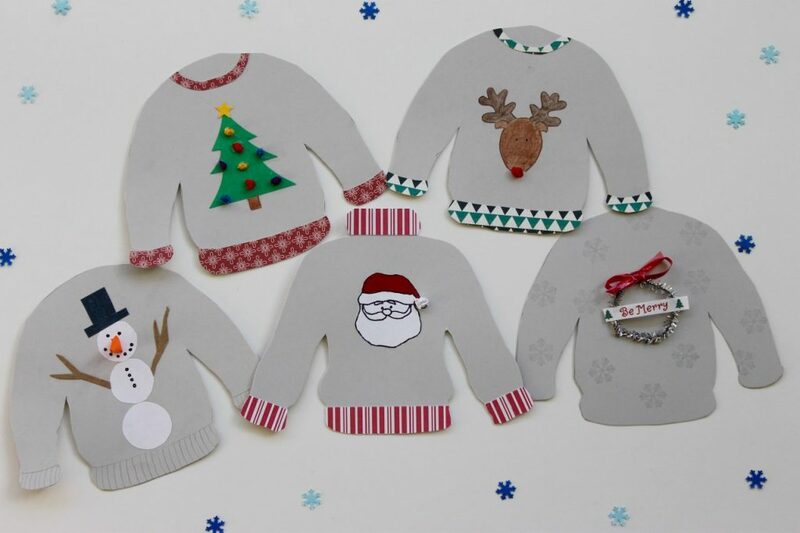 Before the party, have a DIY Ugly Christmas Sweater get-together with your crafty friends to get your outfits looking awesome! 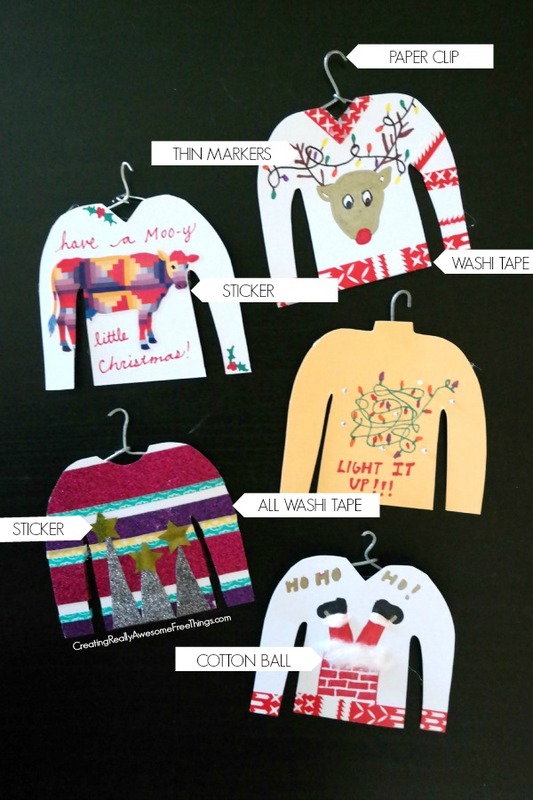 Follow this DIY for a different take on Ugly Christmas Sweater ornaments. 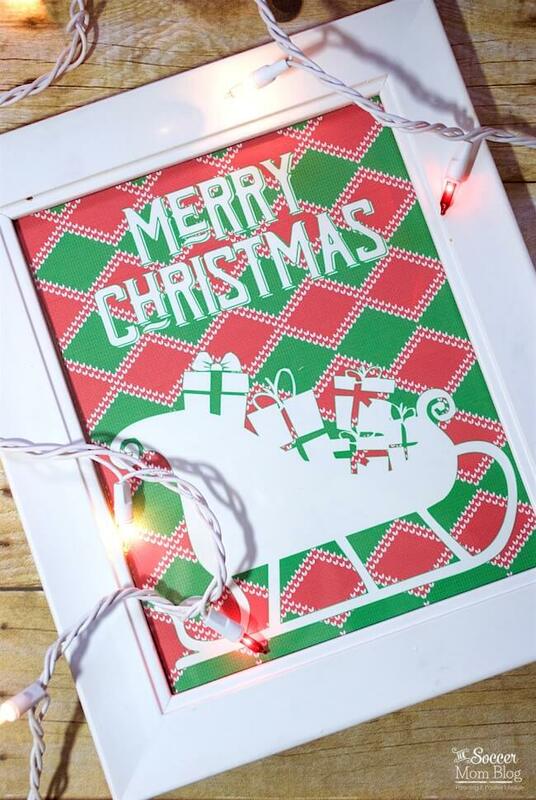 Serve your guests on this amazing Ugly Christmas Sweater Serving Tray. 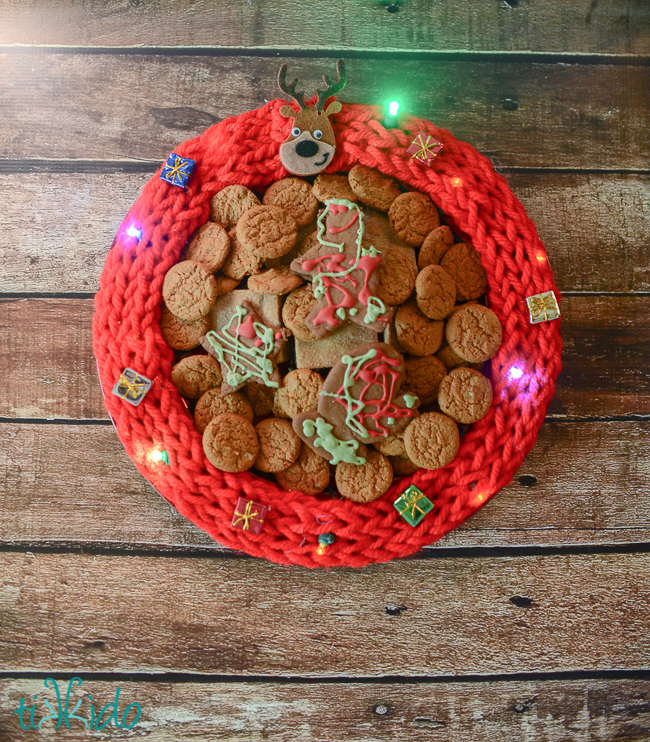 This holiday sweater wreath uses an actual old sweater. 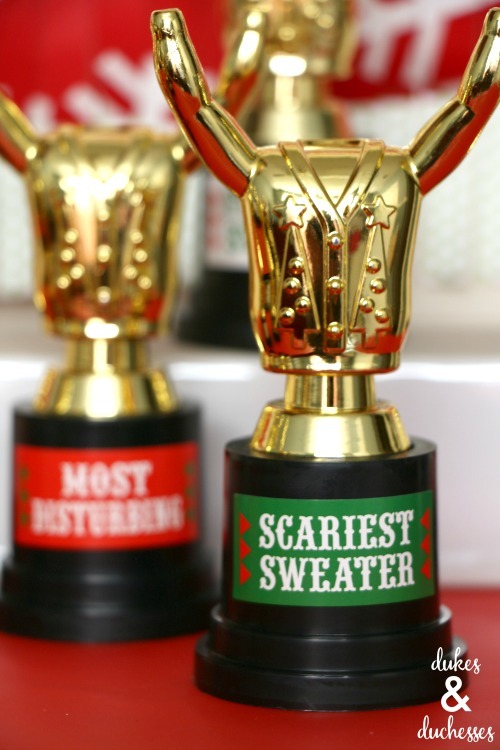 These printables are great for your winners from the Ugly Christmas Sweater Party. 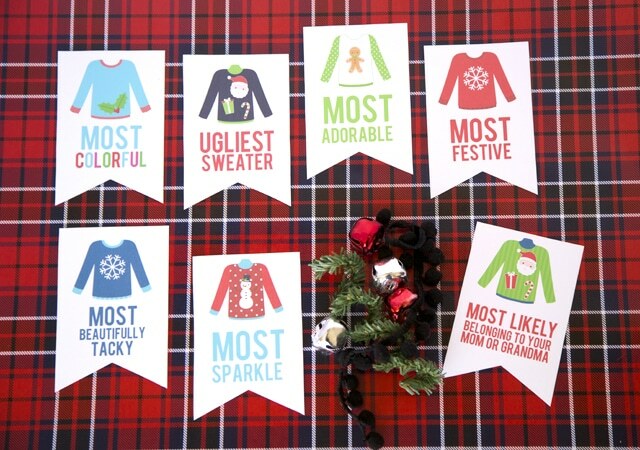 These printables make for great awards and they are cost-effective. 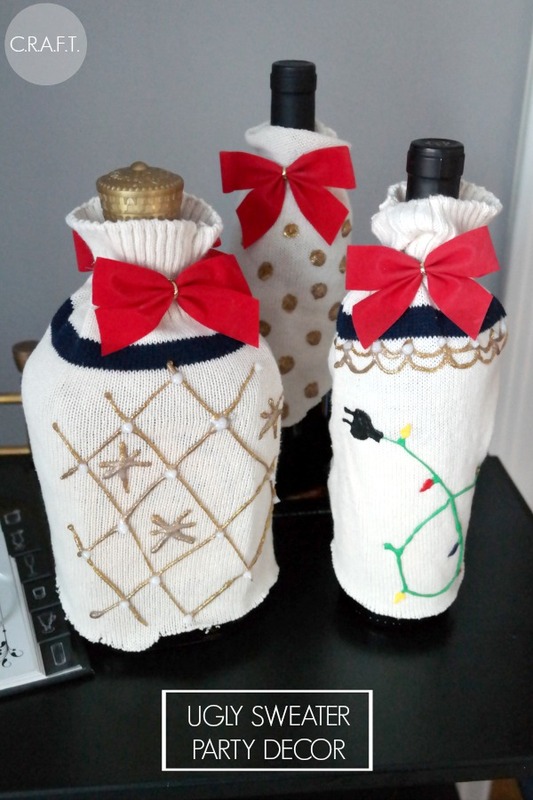 Wrap up wine bottles with in their own holiday sweater with this DIY. 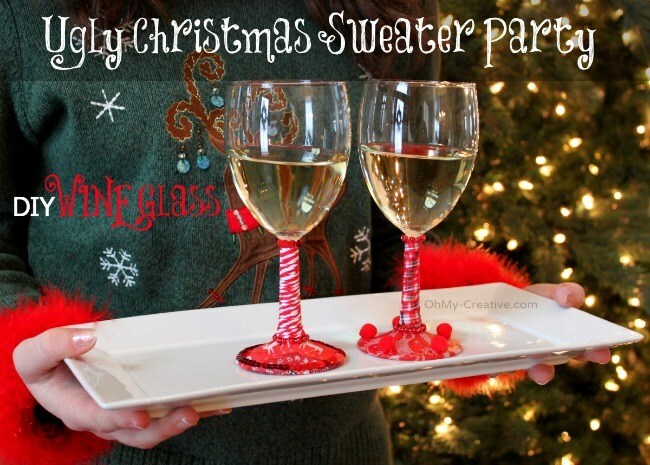 Decorate the wine glasses in Christmas sweater spirit as well! 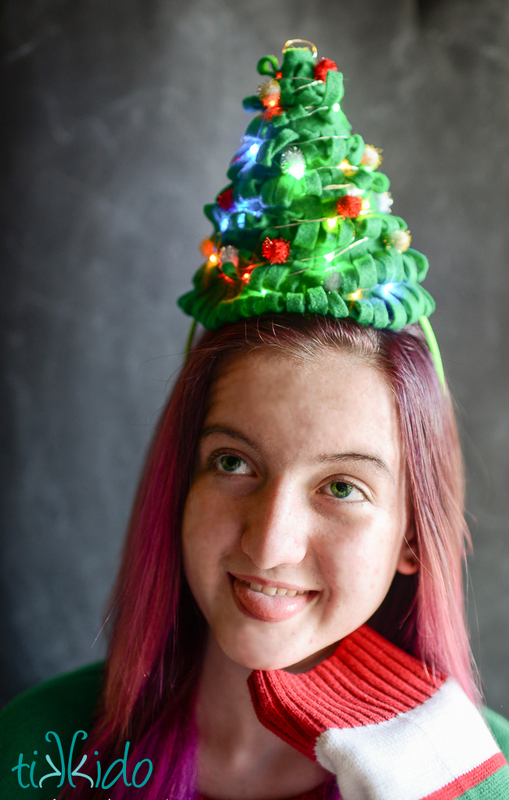 Make an ugly holiday sweater hat to go along with your sweater. It also lights up! These mason jars would make great party decorations.